If you were intrigued by South Africa and Nelson Mandela after watching Clint Eastwood’s Invictus, then Reconciliation: Mandela’s Miracle was made for you. And who among us wasn’t intrigued? South Africa was an overtly racist society, and it’s difficult for some of Americans, 50 years after our own civil rights movement, to even imagine how whites could justify their stranglehold. And after the end of apartheid, Invictus showed just how masterfully Nelson Mandela managed the transition by reaching across the aisle. I found it hard to believe that a mere rugby team played much of a role in that transition, but some of the interviews in Reconciliation suggest that maybe history will bear Eastwood out. The documentary starts with the story of the South African rugby team’s World Cup win, cross-cutting footage from Invictus with actual newsreel footage and interviews with the real participants in the story. Eastwood goes on camera as the documentary’s first talking head. From there, the movie jumps back to explain what apartheid was like. Was the racism really institutional and not just cultural? Yes — we see signs on beaches that separate the races, where blacks could be shot by police for simply being on the wrong side. Was the sport of rugby really seen in terms of black and white? Yes — black South Africans tended to root against the home team. Did Mandela really make that much effort to unite the nation behind the Springboks? Again, Reconciliation says yes. Even if you’ve heard the story of apartheid before, it’s hard not to get choked up at the sheer injustice of it all. 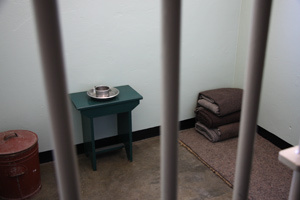 Along with Mandela, some whites were imprisoned for their anti-apartheid views. One interviewee was a white anti-apartheid activist who lost an arm to a bomb. Another was born with just the right mathematical mix of black and white blood that he could have chosen to call himself either; he chose black as a matter of ethics and solidarity. The documentary catches back up chronologically to the World Cup, then carries us beyond, to the days of the Truth and Reconciliation Commissions, which allowed the country to acknowledge its evil past without resorting to barbaric “eye-for-an-eye” retribution. In these commissions, white perpetrators of violence were invited to face their victims and tell their stories. Occasionally they would be sentenced to jail time, and sometimes — but not always — they might be forgiven by their victims. Meanwhile, back in America, this political season seems to be powered by whoever can muster the most hatred, and bigotry is sometimes defended as common sense rather than shamed out of the polls. Mandela’s Miracle makes me wish for a political and social climate where reconciliation, not retribution is the weapon of choice. Our festival advice: Buy a ticket!